Welcome to Trouvay & Cauvin, a company with more than 130 years’ experience in supplying all kind of pipeline solutions. Trouvay & Cauvin was founded by Albert and Cesar Cauvin back in 1881. Later on it was Yves Cauvin who expanded the company drastically and with the effort from the Lassarat family the group got more and more international fame. 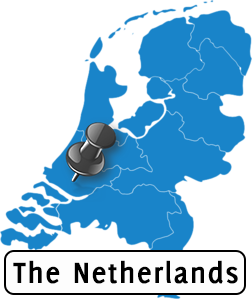 As a result of the international expansion policy, Trouvay & Cauvin b.v. in The Netherlands was established in 1992 as sales office and stockist for pipes, flanges and fittings. After the restructuring in 2001, Trouvay & Cauvin b.v. re-established the strong market position the company used to have in some of the Middle East countries and in Western Africa. This effort resulted into securing significant contracts from most of the major players in these markets and even into a number of long term supply agreements. At the same time the range of products was drastically extended in order to serve all different market segments. With dedicated sales teams in Baghdad (Iraq) and Lagos (Nigeria), we are able to anticipate immediately on any local requirement. Together with a project team at the head office in Rotterdam The Netherlands, Trouvay & Cauvin b.v. is able to take care for your entire supply chain. We are not just a “one day” supplier, our aim has always been to act as your supply partner within a close business relationship.